Do you have a hard time finding the right ring or jewelry? Do you seem to like different part of different ring or jewelry? 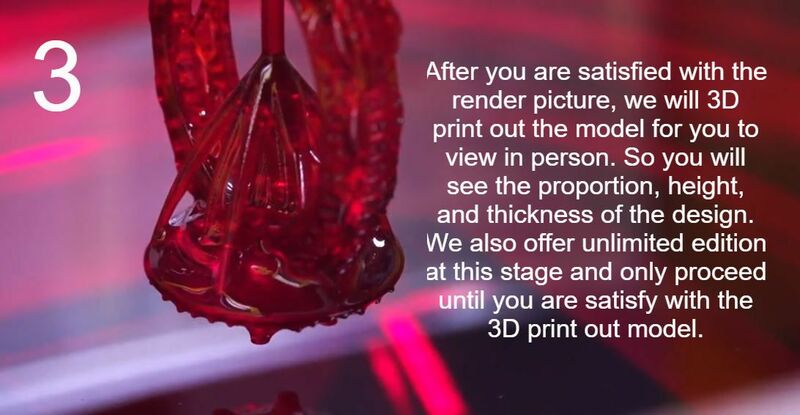 If this is the case, then our advance 3D custom design is exactly what you've been looking for. 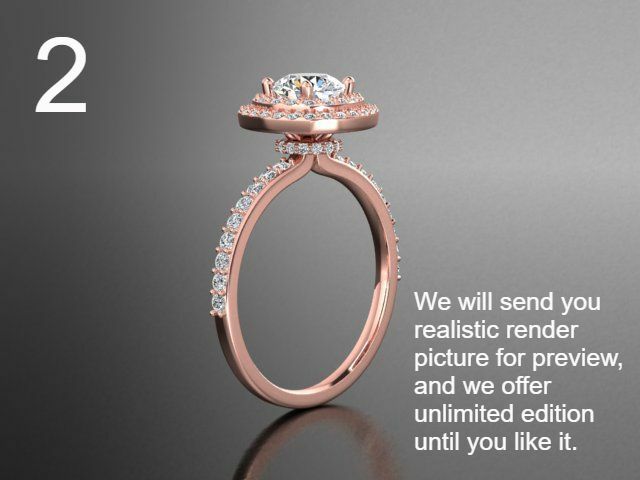 At OR DIAMONDTM, we specialize in advance Jewelry 3D Custom Design. We can create just about anything you can dream of. 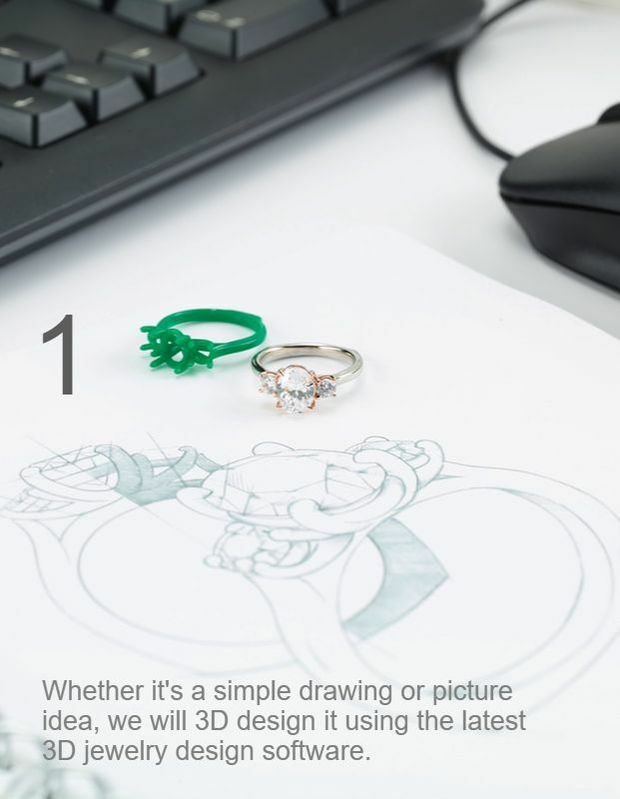 Our jewelry designer, GIA expert gemologist and master goldsmith team can help you through the making of a high quality, unique and one-of-a-kind jewelry/engagement ring that is as unique as you are. 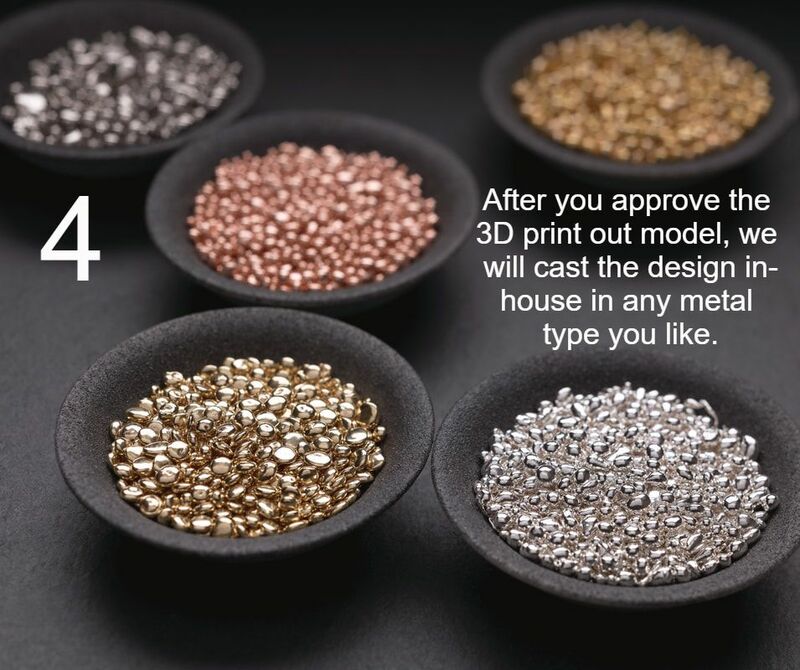 Here at Or Diamond, all the custom design process are professionally done on site which include the planning, 3D design, 3D printing, casting, and finishing process. ​In addition, you will get the chance to talk directly to our expert team about how you want your custom design piece to be done; an advantages that is hard to find somewhere else. Our highest standard and best quality work helps brought us great reputation and trust from many of our customers. 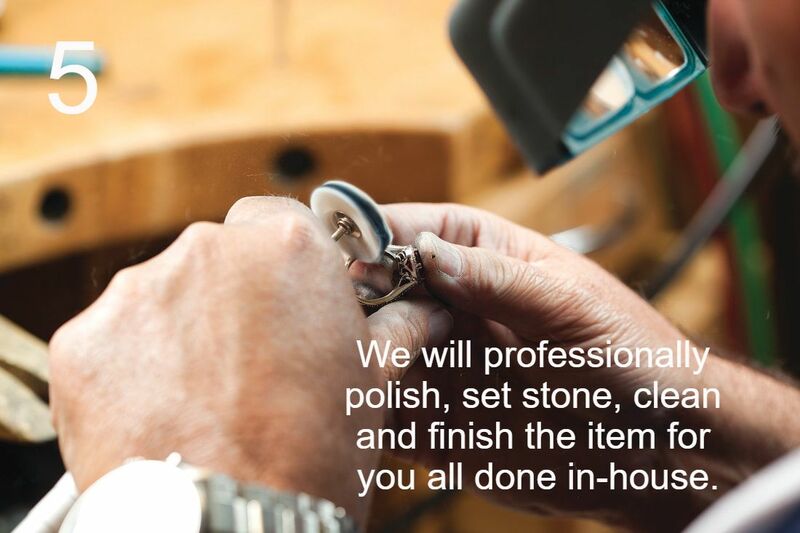 The whole process will take anytime between 1-6 weeks depending on how busy we get. We will email you a quote via email. Enter a phone number if you want us to text you a quote. Moissanite Natural Diamond Natural Gemstone Lab Grown Diamond Lab Grown Gemstone I am not sure or need guidance. White Gold 14K White Gold 18K Rose Gold 14K Rose Gold 18K Yellow Gold 14K Yellow Gold 18K .950 Platinum .950 Palladium 925 Silver I don't know or need guidance. Please provide us as many detail as you can. Such as what brand of moissanite you like or what kind of gemstone you prefer. The size of the gemstone in carat or in mm. One of us will get back to you shortly. Have picture of the design inspiration you wish to create? Share it with us so we can understand your taste. Due to high demand, we will try to get back to you within 1-2 business days.